Feed your kids and you’ll help a child in need. How simple is that? Your kids are always hungry right? At least my two boys are! So we always have many snacks on hand, especially when on the go. 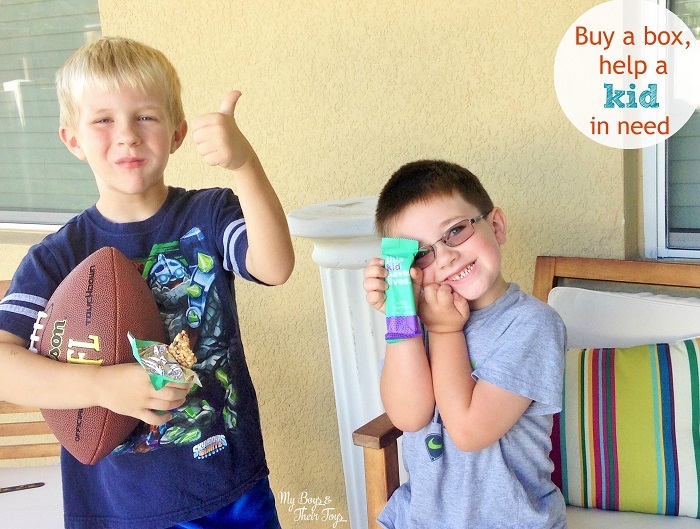 Snack bars are an easy way to sustain hunger until the next meal, and less messy too! So when I found out about Kristen Bell (from that little ole’ movie FROZEN!) and her co-founders creating This Kid Saves Lives snack bars to help starving children around the world, I wanted to help! For every box of bars sold, the company will send a child in need a packet of Plumpy’Nut, a high-energy therapeutic food developed for the treatment of severe acute malnutrition. Learn more about their cause here. You may have caught this on my Instagram last month. That’s when I first tried the bars. They are seriously delicious guys…and healthy! Music to your ears, right? The Kid Saves Lives bars include 14 essential vitamins and minerals, nut and gluten-free, and includes non-GMO ingredients. 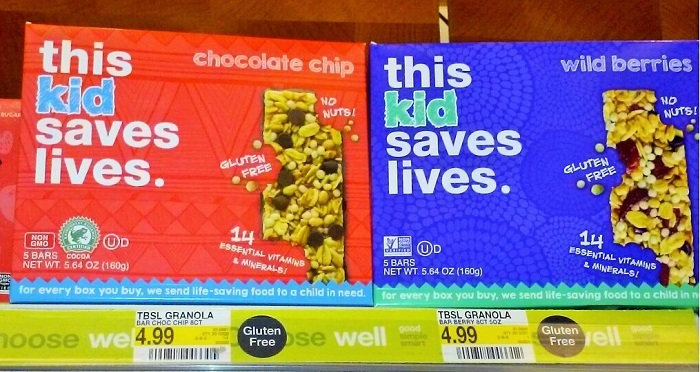 This Kid Saves Lives bars are sold exclusively at Target stores and available now! Find a store near you. They retail in boxes of 5 bars for just $4.99. That’s a really small price tag for helping save a child’s life. So what are you waiting for? Eat together with This Kid Saves Lives! What an awesome way to help others! I LOVE companies that give back and give me the opportunity to share with my children how they can help. I’m sure my kids will love these! Yes, mine are always hungry, too! 😉 Thanks for sharing, adding to my shopping list now!